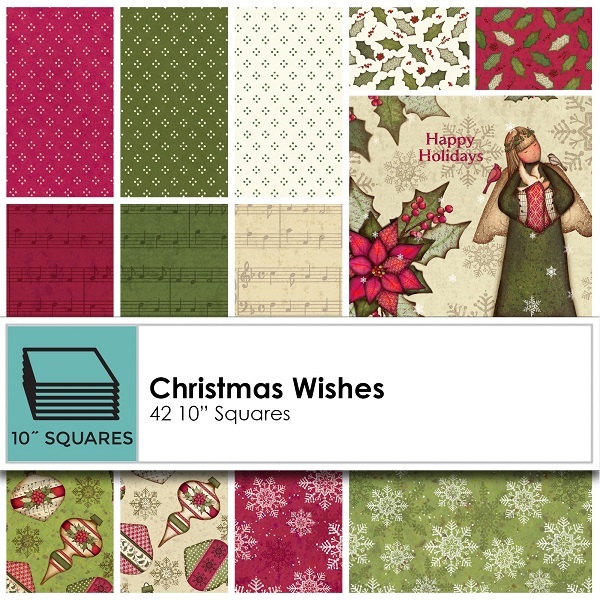 Christmas Wishes by Robin Davis Studio is a fabric collection that has a vintage feel using Christmas colors in shades of mercury glass ornaments. Beautiful bright greens that represent shades of pine, gorgeous rich burgundy shades and earthy warm creams & golds. The main fabric panel includes angels, a deer pulling Santa's sleigh, burgundy poinsettias and lovely chickadees and cardinals.